You know what they say about tree planting. The best time to plant one was years ago, the next best time is today. 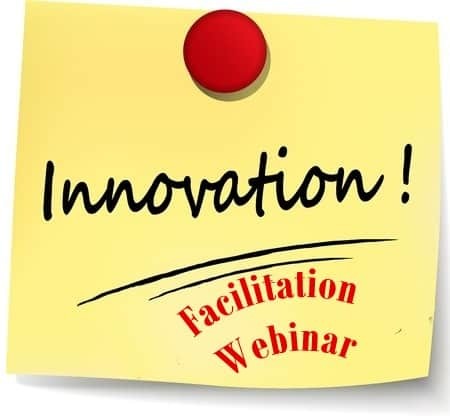 Do you need to innovate how you facilitate? Do you need to redesign your classic workshops or sessions or integrate new activities, tools, or techniques after learning more about your audience, often only after arriving on the scene? Do you need to implement new ideas on the spot while you are in front of the group based on what is happening…or isn’t happening? You can meet all of these challenges with innovation. If you find yourself doing the same things over and over again and your events are feeling stagnant, it may be time to innovate how you facilitate. When I started my career I wanted to be a speaker. I wanted to motivate audiences and help them learn and develop their leadership skills. I went to graduate school to learn how to design programs to help people become better leaders. I was shocked to learn that research on effective learning didn’t match what I was doing. I learned that when people just listened to a speaker, very little learning happened. And here I was telling my audience things I’d read in other people’s books. I even used Power Point slides and bullet pointed ideas I’d read in other people’s books! Even while I was discovering that people learned best when engaged in real activities, having conversation and reflection with others, and working on real projects…I wasn’t doing these things myself. I was still stuck in the old “sit and get” paradigm! Then, as I began research for my dissertation, I interviewed stakeholders of some of the most high-impact leadership development programs I could find. From over 60 learning leaders, I heard firsthand the types of program experiences that most impacted their leadership development and lives. It wasn’t the lectures they heard but the activities, the projects, the relationships, the reflective experiences that most positively affected them. Then I got it. Now I knew that I had to change because I’d heard it face to face from so many people. I had to shift from lecturing to facilitation. It was uncomfortable for me to cut out so many of my great tips and instead, have them connect with each other to do activities that I would design and facilitate. This was a big change and it was a little scary. However, I soon discovered that I actually enjoyed the design of keynotes, workshops, programs, and activities more than I enjoyed scripting speeches. I enjoyed the improvisational nature of facilitation better than I enjoyed trying to remember the exact words to say and saying them. There was the “fear of public speaking” anxiety with this new and innovative way. This was my first big experience with innovating how I facilitate. It took me a while to change but I’m glad I did and over 1 million people have gotten the chance to experience activities I’ve designed or facilitated. This wouldn’t have been the case if I didn’t have the catalyst to innovate how I facilitate. So what is your challenge to innovate? Like me, do you need to help people learn and develop in a greater way, increase engagement, be more authentic, reduce your anxiety in front of a group, respond to changes on the scene and in the moment? 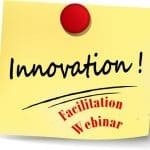 Do you just need to freshen up what you’re doing and add new tools, techniques, strategies, models, and ideas to your practice as a facilitator or leader? To innovate, we respond to a challenge (either a problem or opportunity) with new actionable ideas…and these actions will have a positive impact. 1. Picking a facilitation challenge you want to work on. 2. Gathering ideas that could be solutions or new things to try. 3. Actually launching your new ideas when you are in front of a group. Try a simple innovation activity yourself. What is a challenge that comes to mind? It could be long-term challenge like redesigning a future workshop, meeting, keynote, etc. It could also be an “in the moment” challenge like ideas for what you could do when the group seems to be disengaged. 1. What is a facilitation challenge you have? 2. List at least 10 ideas for what you might do to address that challenge? 3. Based on your ideas…what will you choose to try and when? Dr. Darin Eich is the author of Innovation Step-by-Step and Root Down & Branch Out: Best Practices for Leadership Development Programs. Darin earned his Ph.D. from the University of Wisconsin and is the president and co-founder of InnovationLearning.org and BrainReactions, an innovation consulting company founded by UW students, where he led idea development and innovation projects for organizations like P&G, Agilent Technologies, the United Nations, and the U.S. Council on Competitiveness. Darin’s passion involves helping people to become themselves, find and live their strengths, and become more creative, innovative and successful leaders. Professionally, Darin does projects ranging from hundreds of college speeches to helping institutions develop leadership programs & retreats to facilitating professional brainstorm innovation sessions for the most innovative Fortune 500 companies. 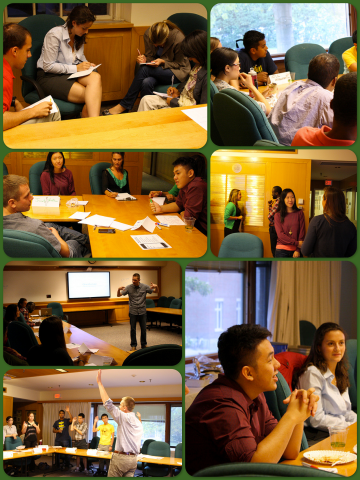 Darin is a leadership program consultant to Dartmouth College, the University of Wisconsin, and USA TODAY. Interested in discussing program ideas? Email [email protected] today. • Tools, techniques, and activities you can do on the fly (because things change). • Design for the people you are facilitating…in the moment. Facilitation Tools and Techniques. Would you like to design more interactive and engaging workshops, presentations, and speeches? Facilitating Groups: Teaching, Learning & Engaging is a series of online video workshops designed to help you better facilitate events and meetings so that participants learn, are engaged and get more accomplished. You will see high-impact activities that work for a variety of group sizes. You will learn how to use best practice techniques and tools to more confidently, actively, and successfully facilitate others.